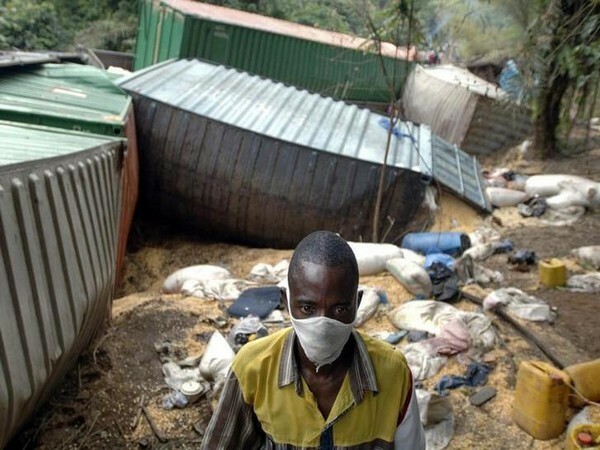 Kinhasa [DR Congo], Mar 18 (ANI): Thirty-three people died, while around 90 others were reportedly injured in a train accident in Kasai province of the Democratic Republic of Congo, local media reported on Monday. Catalonia [Spain], Nov 20 (ANI/Sputnik): At least one person died and five people have been injured in a train accident here in Catalonia on Tuesday morning. New Delhi [India], Oct 11 (ANI): The Indian Railways on Thursday suspended two officials a day after New Farakka express derailed. Tekirdag [Turkey], Jul 9 (ANI): Ten people were killed and 73 others were wounded after five bogies of a passenger train derailed in Turkey's northwestern Tekirdag province. Rome [Italy], May 24 (ANI): Two people were killed and 18 got injured after a train crashed into a truck carrying heavy goods in the northern Italian region of Piedmont. New Delhi [India], Feb 13 (ANI): Addressing the issue of increasing metro fares, Railway Minister Piyush Goyal on Tuesday said the fare is still nominal even after it being increased last year. Satna (Madhya Pradesh) [India] February 10 (ANI): 24 bogies of a goods train was derailed in Madhya Pradesh's Satna late on Friday night. South Carolina [United States], Feb. 4 (ANI): At least two people were killed and 50 others injured after a passenger train collided with a freight train in South Carolina on Sunday morning. Milan [Italy], Jan 25 (ANI): At least two people died and more than 100 others were injured after a passenger train derailed between Treviglio and Pioltello on the outskirts of the Italian city on Thursday.